I was looking at my wardrobe and was surprised how much stuff I have that I don’t actually wear! Do you have the same feeling as I do? I know it is sad we wear only 20% of our wardrobe, but for me I think it is even less. Since I changed my jobs and I wear a uniform now, my needs have changed also. I don’t need to worry any more about what to wear to work every day (which is actually a relief, I can tell you that ;)). Also, with this job, I don’t have time for my previous hobbies, so my closet doesn’t need to be that versatile any more. What do I need? TO DECLUTTER! I heard about CAPSULE WARDROBE and I googled it. It is actually a pretty interesting concept. In a nutshell, you choose around 33-37 items (including outerwear and shoes) using the rule of 3. You choose 3 jeans, 3 shorts, 3 T-shirts, 3 button ups, 3 shoes… You get the picture. You war it for a season, reuse some stuff for the next capsule and the rest you pack up. 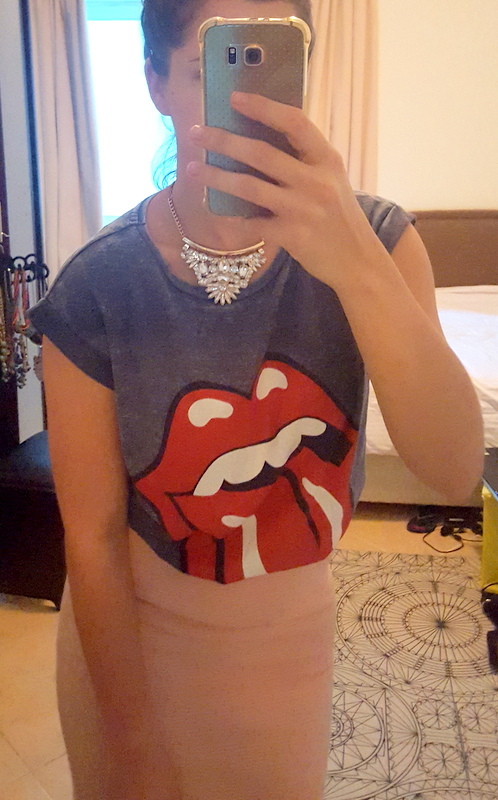 So this outfit is inspired by the capsule wardrobe concept with the things I would keep. 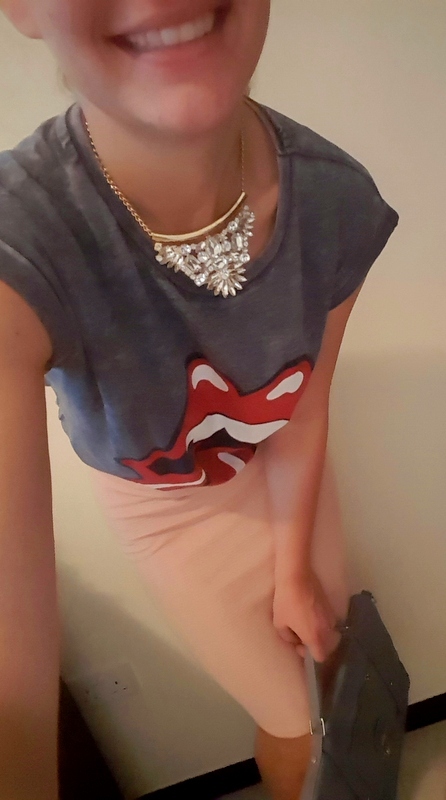 As you can see I kept it pretty simple and just put a statement necklace to add a pop of colour. I think it is very important to choose the right colour palette and you can already find some on line to choose from because it really is overwhelming when you start. I like choices. I like dressing how I feel. I like being able to pick any style from baggy jeans to pretty dresses. With this, you have to choose one and stick to it. Is anyone doing the capsule wardrobe challenge or tried it? I am really interested in hearing your experience and how you liked it?! Or didn’t? Please leave a comment. So please, follow me and leave a comment so I can improve! I really like pencil skirts. Don’t wear them often, but I like them. 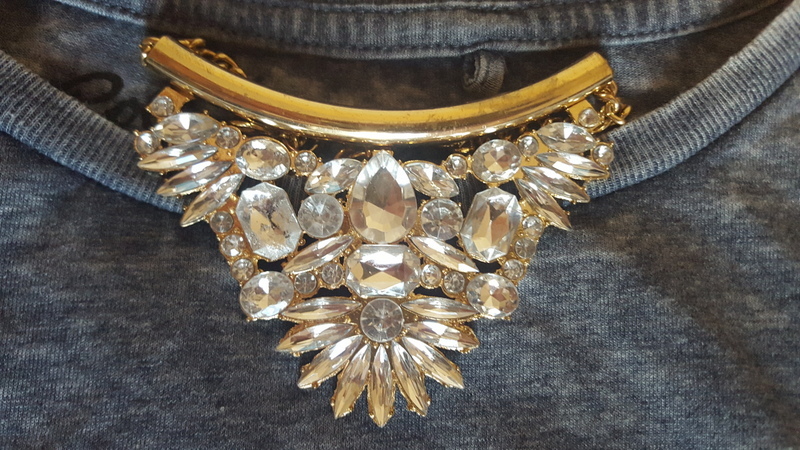 It is such a timeless piece and a staple of every woman’s wardrobe. You can dress them up or down, however you like it. 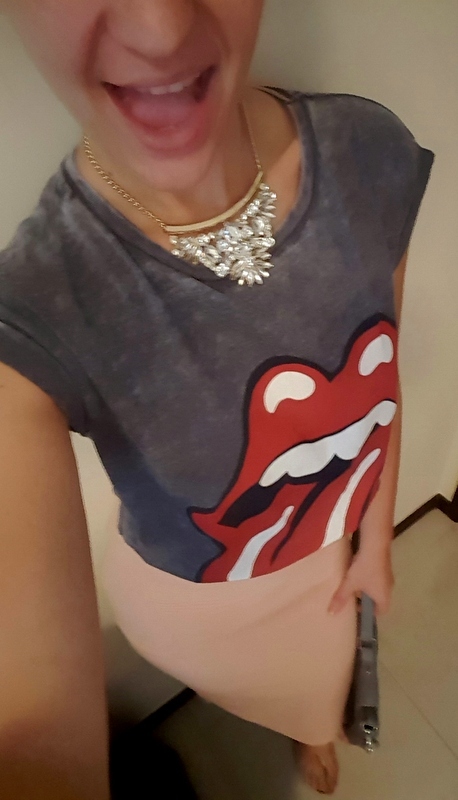 I paired my light pink pencil skirt with a Rolling Stones logo T-shirt to have a more casual look, but I still added a bling with the necklace. Since I was going for a more relaxed look, no heels today and just a simple gray bag. 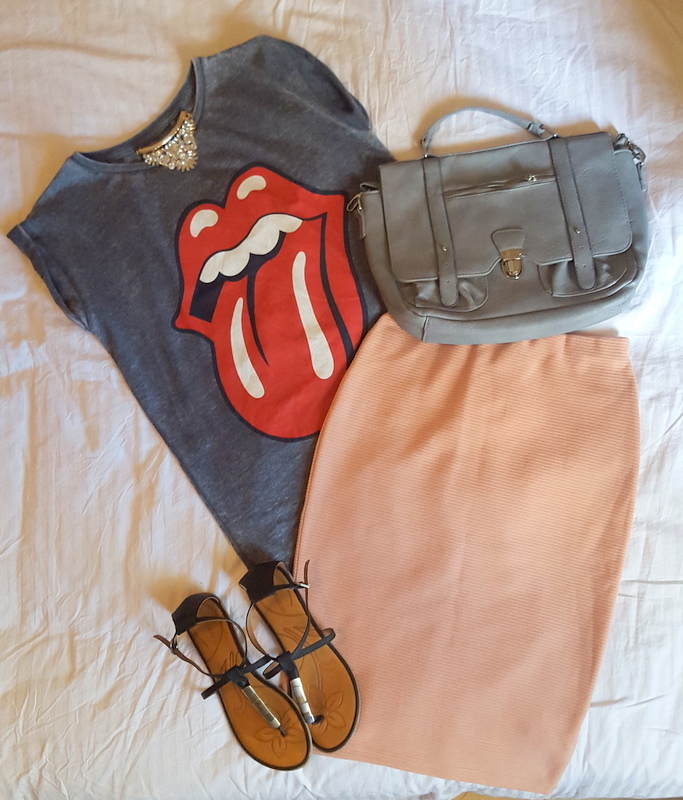 What are your thoughts on pencil skirts? 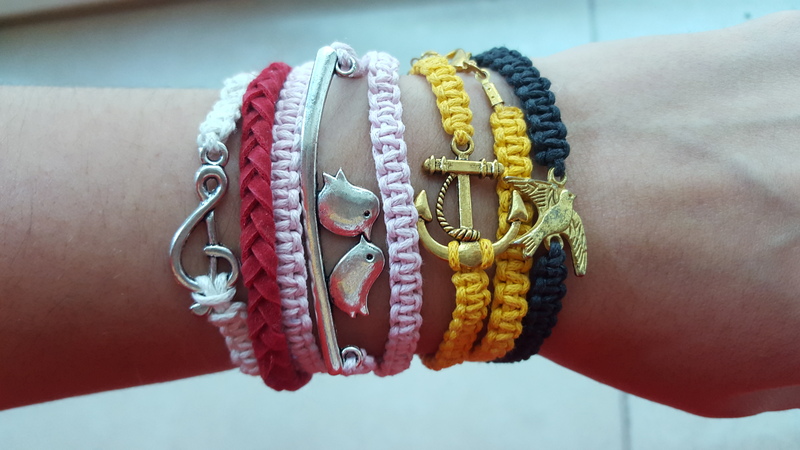 Just wanted to share with you guys some bracelets I’ve made. Feels so good to do something with my hands again. I have some other projects in mind, but it will take some time. 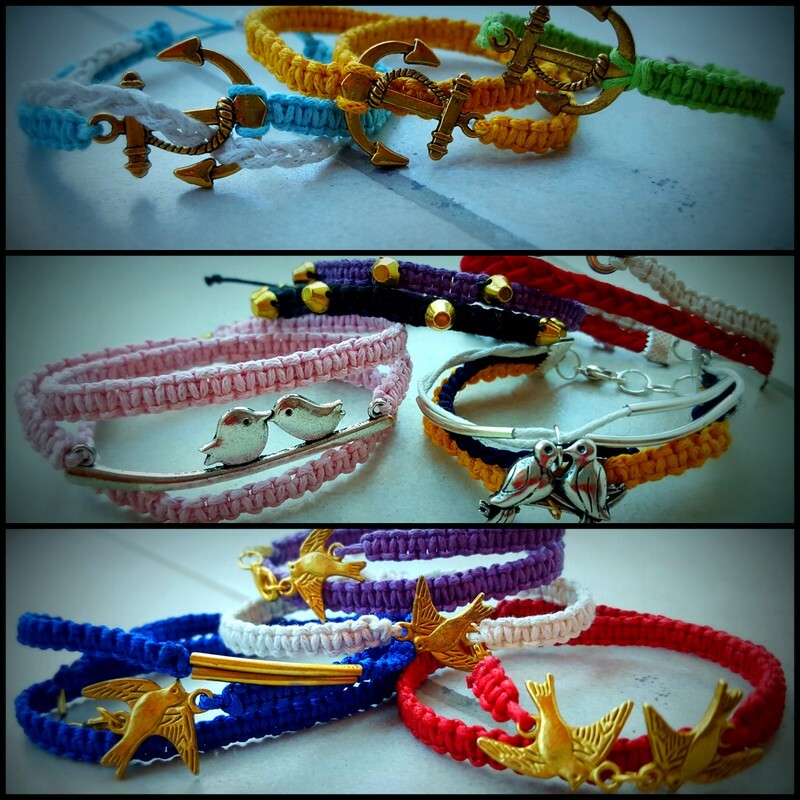 How do you like them? Are you making something? I would love to see! First of all, if anyone is still following this blog – I am sorry! Again I have neglected it. It’s been 4 months since my last post! I’m so ashamed! 😦 I was so busy I just didn’t have the strength, but now that I started writing I see that, of course, it’s not such a big problem. Anyways, I’ve been around – Ibiza, Dallas, Kuala Lumpur, Cape Town, Perth and so on… Beautiful cities. But this one is an OOTD. You may remember this romper from before (post here), but I styled it in a different way. 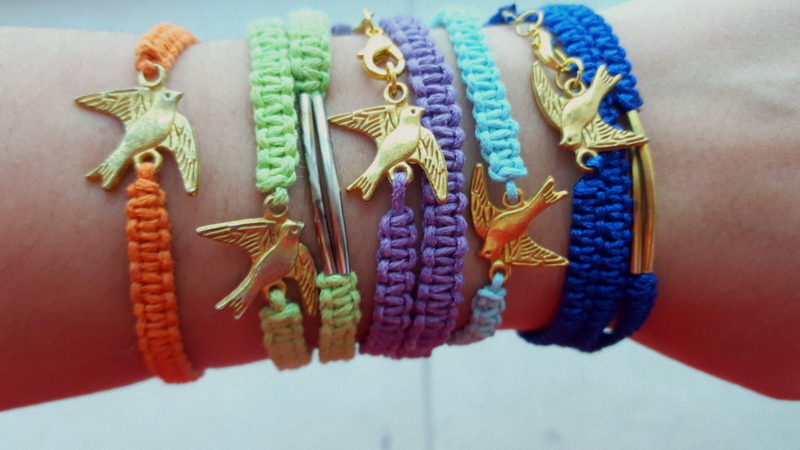 I paired it with my lovely blue zebra Startas shoes (c’mon! 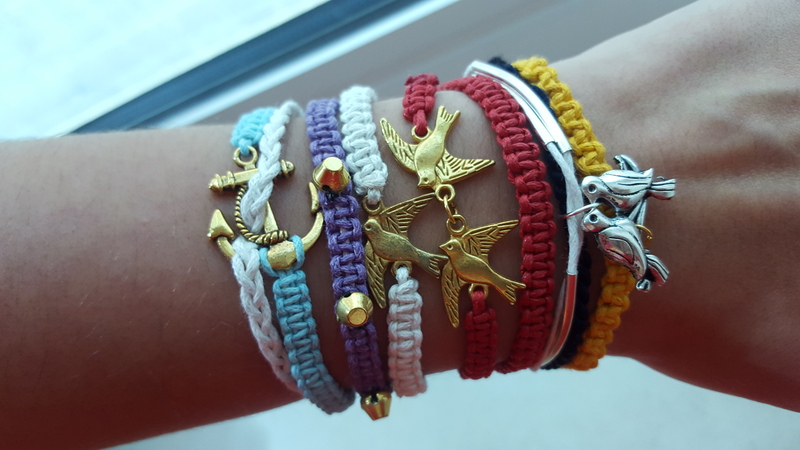 How much do you love them?! ;)) and a blue leopard print scarf which I tied around my head. It is I believe a small detail, but it makes a big difference. Imagine how it would look without it? For me, it brings it to life a little bit more. 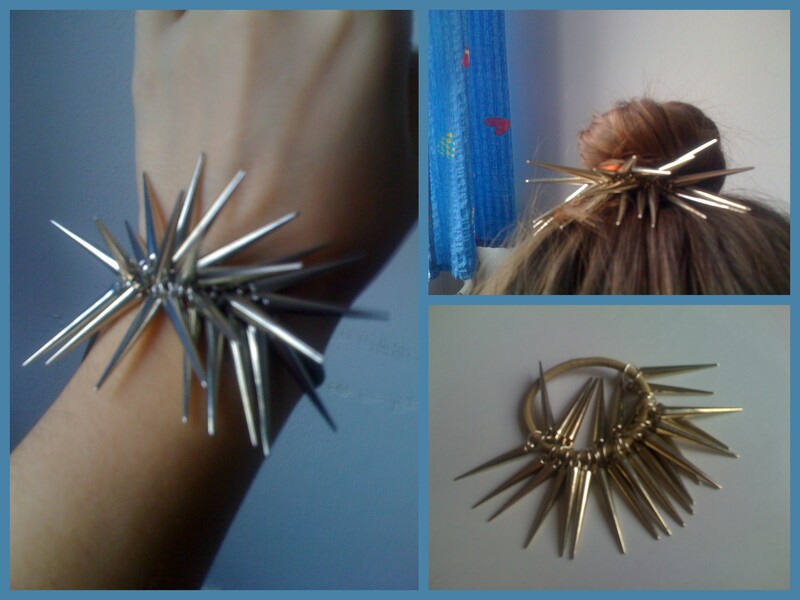 From accessories I wore big silver hoop earrings and a DIY braclet. It’s spring time! I’m ignoring the rain outside. 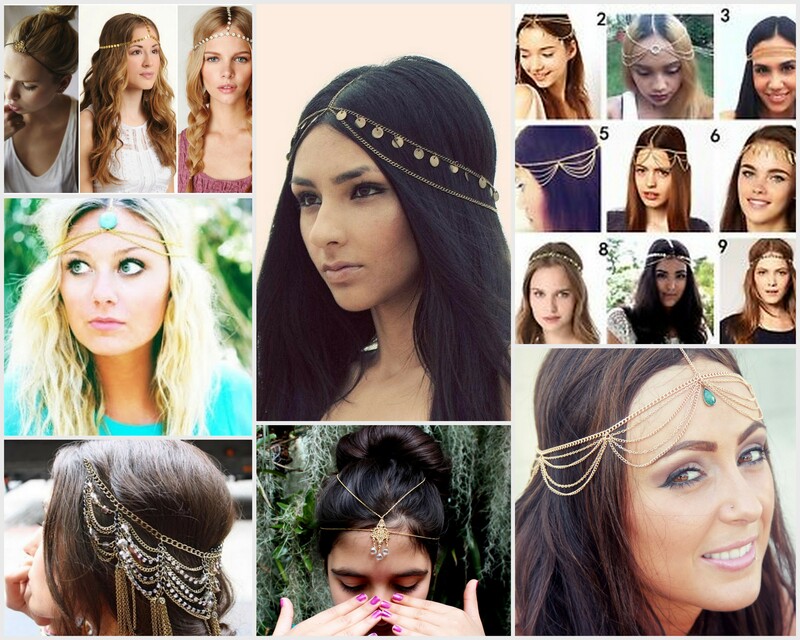 For the longest I’ve been watching these head chains on E bay. 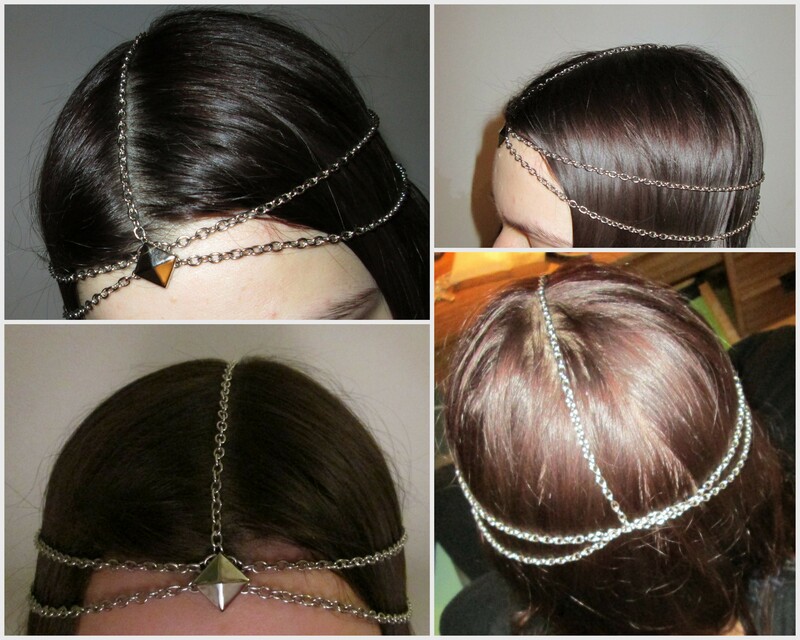 They look so nice and they give off some hippy look which is great for spring. I finally got around to making one. I don’t think a tutorial is really needed because it’s self explanatory and I didn’t use any, but here is one anyway (I waste my time on the net searching for those kinds of things so you don’t have to x)). 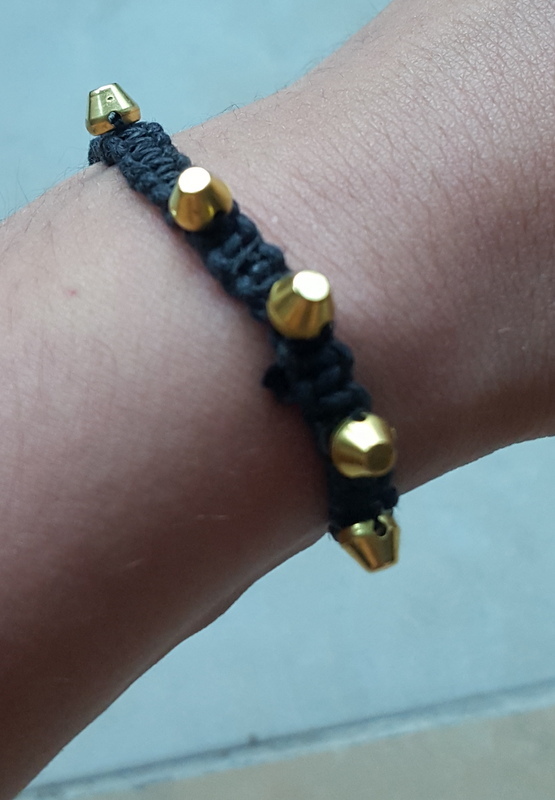 What I like about this is that I can wear it as a hair elastic, I can put it around the bun to give it an edgier look and I can wear it as a bracelet.